Rupert Pupkin Speaks: Warner Archive Grab Bag: SECOND-HAND HEARTS, DIE LAUGHING, FIRST FAMILY ""
This film had several elements that intrigued me. First, I am a huge admirer of Hal Ashby. Anyone who has seen THE LAST DETAIL, SHAMPOO and HAROLD AND MAUDE can't help but see the great filmmaker he was. Secondly, Robert Blake. Disregarding the man's personal life, I am a fan of him as an actor. ELECTRA GLIDE IN BLUE is an old favorite of mine and one I recommend anyone seek out if they haven't seen already. Also caught him finally in BUSTING(still on Netflix) with Elliot Gould a few years back and really dug that film. Thirdly, Barbara Harris. She's just one of those 70s actresses I adore. NASHVILLE, FAMILY PLOT, FREAKY FRIDAY - she's wonderful in those and many more. Additinally, Haskell Wexler lensed this nearly lost film and he's always a draw for me(though a lot of the interiors here are a bit dark). He and Ashby had worked together previously on his films COMING HOME and BOUND FOR GLORY. Here, Blake plays Loyal Muke - a generally nervous, boozy loser who works at a car wash(nothing endears a character to me more than seeing them vomit in the back of a car in the first 2 mins of a film btw).Harris is a down on her luck honkytonk waitress/singer who's looking for any rock of stability to help reclaim her children from her dead husband's parents. She hooks Loyal into getting themselves hitched during one of his regular drunken benders and uses him to get the kids back and hit the road for a new life in California. Overall, the film is a touch muddled. It has a certain improvisational feel and carries a slightly undercooked, Altman-esque vibe. Sadly, both of the leads do a lot of near-incoherent babbling which is charming only to a point. It's certainly worth a look for Ashy completists I'd say. Makes me all the more compelled to finally watch Ashby's LOOKIN' TO GET OUT, which followed the release of this film. 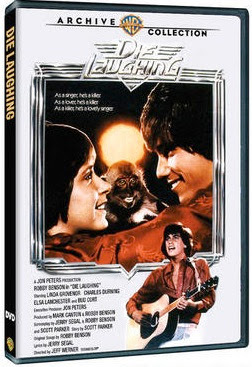 Robby Benson stars in this 2nd-tier Hitchcock meets screwball comedy. Think THE SILVER STREAK, but dopier. He plays a cab driver/aspiring singer who gets mixed up with the wrong monkey - in this case, one who has memorized the formula for turning nuclear waste into a bomb. Of course, there are many people who would like to get possession of said monkey(including a wacky, effeminate. evil-mastermindy Bud Cort and his minions). I like Benson and his movies quite a bit(JEREMY, ODE TO BILLY JOE, ONE ON ONE & THE DEATH OF RICHIE to name a few) so it was neat to finally see this one in which Benson not only served as a producer, but also wrote and performed some songs. Linda Grovenor co-stars and is pretty adorable here(even with her Kristy McNichol "LITTLE DARLINGS hair"). Makes me wish she'd made a lot more films. Overall the film reminded me a bit of updated screwballs like WHAT'S UP DOC(perhaps mostly because of the San Francisco location shooting), and even though it had it's dumber moments, it was overall quite charming. The quite impressive supporting cast includes Charles Durning, Peter Coyote, Charles Fleischer & Elsa Lanchester. This film is making its dvd debut here which may be part of the reason it slipped through the cracks a bit. Worth rediscovery for sure. Especially for fans of late 70s/early 80s cheese. A political satire written and directed by Buck Henry you say? Well, who stars in it? 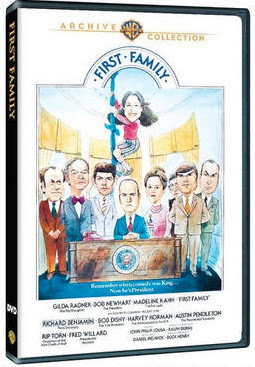 Gilda Radner, Bob Newhart(as the president! ), Madeline Kahn, Richard Benjamin, Bob Dishy, Harvey Korman, Austin Pendleton, Rip Torn and Fred Willard?! Sounds like a home run? Well, you'd think that'd be the case, but this film sadly doesn't live up to that ridiculous comic pedigree. I don't know about you, but I am a pretty big proponent of Bob Newhart. Last year I started playing some old comedy LPs for my son and my Bob Newhart record was one of the first ones I dusted off. The man's a comic genius for lack of a better turn of phrase. Newhart is just about my favorite thing in this movie(outside of Harvey Korman's "Is it 'lala' or 'chichi'?" line). He does his best and brings some chuckles from this rather flat and mostly dated(and sometimes racist) comedic material. The film is certainly a holdover from a less-politcally correct era which is not altogether a bad thing. On top of that it is an R-rated comedy which is something I miss. Something here just doesn't quite click though. Perhaps it's a pacing thing. Maybe I was expecting something a bit more rapid fire a la AIRPLANE and this felt rather stodgy for the most part. I get a sense that Buck Henry was going for a more subtle, absurdist, farcical scenario, but overall it just left me wanting for better absurist, farcical films or even straight spoofs(I half thought of putting on my copy of TOP SECRET when I finished this). The disc looks nice at least. FIRST FAMILY(like the aforementioned discs above) is also making it's dvd debut here. My last viewing of this film was some years ago via a rather muddy laserdisc transfer, so this new widescreen master was quite welcome indeed. DIE LAUGHING!!!! I've been looking for that movie for 30 years! I saw it on HBO or something as a teen and I loved it. I never saw or heard of it again. I also like Benson in Walk Proud though lots of people seem to hate it. FIRST FAMILY. I saw that on opening night. More than a LITTLE under the influence - and it still wasn't funny! Of course, it was kind of suspicious that the film opened at a 2nd Run Theater - so the studio knew what it had on its hands. 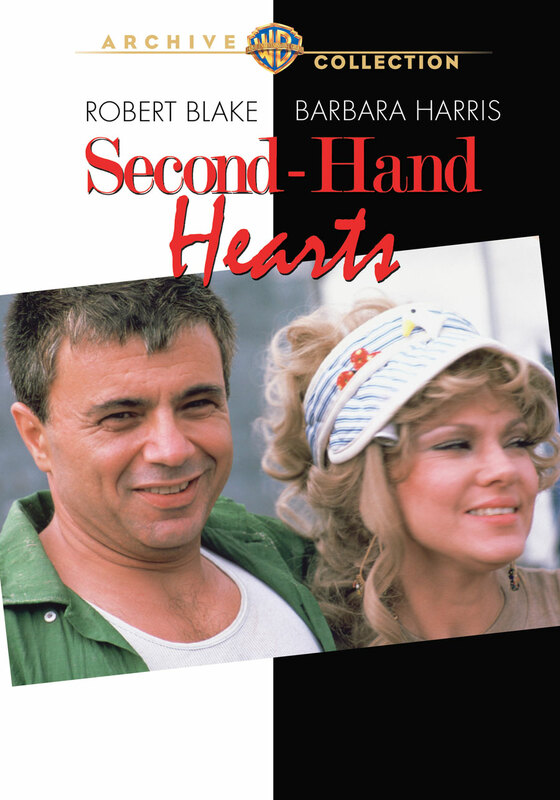 I like that there was a time when Robert Blake and Barbara Harris could/would headline a movie.